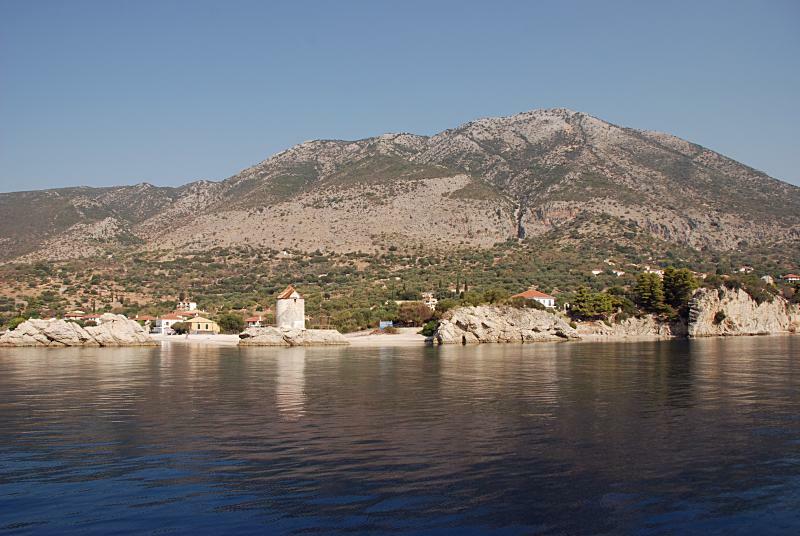 For sailing instruction (learning how to sail) the south Ionian - together with the Saronic Gulf near Athens - is paragon. Two possible downsides are a reasonable chance on light air and the absence of tidal movements, yet this also encompasses similar positive arguments: hardly any high winds and waves can be expected, and sailing without tides is less complicated and confusing. Indeed, quite a few sailing schools - either ASA or RYA - operate out of Nidri, Preveza and Lefkas, similarly in the Saronic out of Aegina, Poros and of course Athens itself. To start sailing here it is adamant to learn the first 5 chapters of my navigation course, which also applies if you are somewhat more advance than the real novices and sailing in flotilla instead of bareboat. Note that for instance the Cyclades are more windy and offer more opportunities for real yachting - yet the art of sailing is learned through manoeuvres, over and over. What counts is the amount of tacks, gybes and anchoring manoeuvres, and in the Cyclades where there are far greater distances to cover, the sailing is mainly done in a strait line.